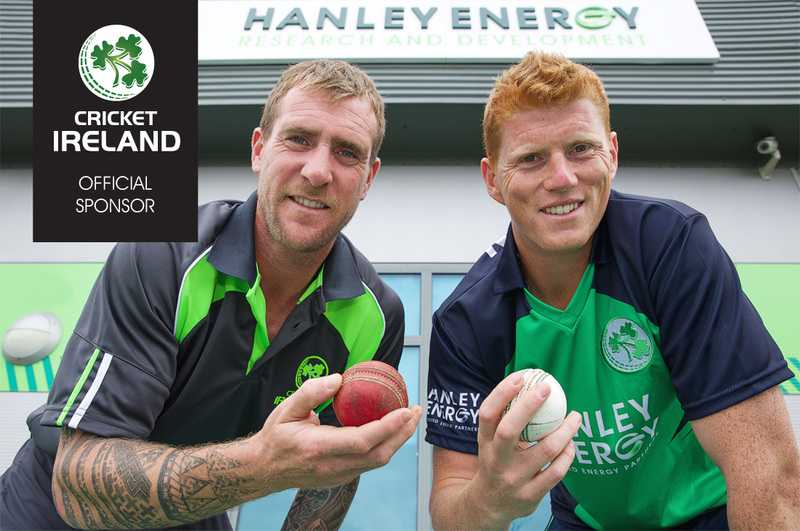 Hanley Energy are to become the primary sponsor of the Irish Cricket Team until the end of 2015, Cricket Ireland have announced. The partnership, which takes immediate effect, means the Hanley Energy logo will now appear on the team playing kit for the remainder of 2015, including for the Hanley Energy Challenge against World Champions Australia on 27th August in Stormont. Hanley Energy is delighted to be the headline sponsor for the hotly anticipated clash between Ireland and Australia and share in the global spotlight shining on Irish Cricket. This deal, with live broadcast coverage of the fixture and the continuous growth of the Cricket Ireland social media platform (which now has over 400,000 fans globally), reinforces Hanley Energy’s presence in Irish and international markets. 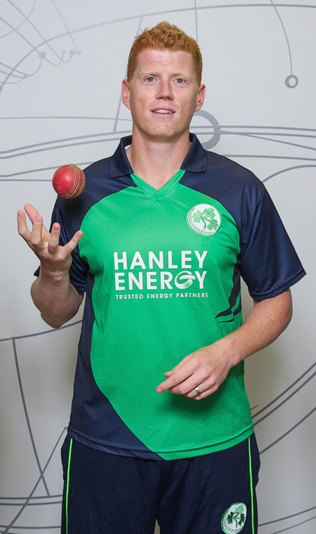 “Hanley Energy is proud to announce its further commitment to Irish Cricket with this exclusive sponsorship deal, building on our support for the Hanley Energy Inter-Provincial Series. We now look forward to another rewarding collaboration having being announced as the Official Sponsor of the Irish National Cricket Team. This synergy underlines our unyielding focus on excellence and in leveraging Cricket at global, national and local levels. Ireland cricketers John Mooney and Kevin O’Brien outside Hanley Energy’s new Data Centre Research and Development Hub.